Free Ground Shipping for the Taz 6! Or pick it up in our store and receive a free spool of filament in place of the shipping. Easy to Use, Large Format, 3D Printing. Engineers, designers, educators, and makers agree: The LulzBot® TAZ 6 is the most reliable, easiest-to-use desktop 3D printer ever, featuring innovative self-leveling and self-cleaning, and a modular tool head design for flexible and multi-material upgrades. With proven 3D printing technology and one of the largest print volumes in its class, the LulzBot TAZ 6 is ready to work. Print with a huge range of materials. Start printing using colorFabb NGEN. 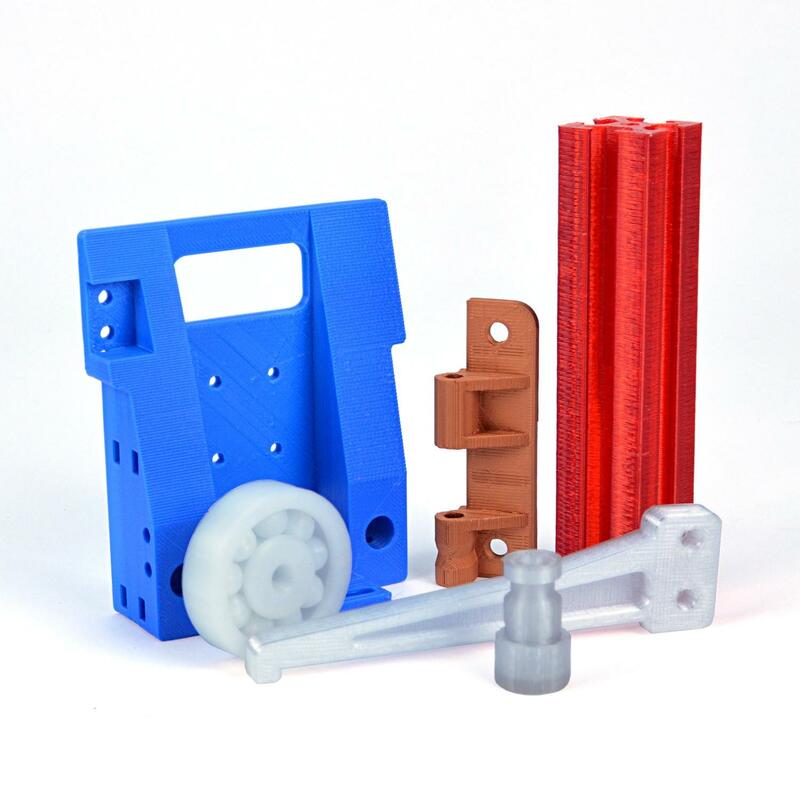 This material provides a more durable and temperature tolerant alternative to PLA with all of the ease of printing. With its versatile .50-millimeter nozzle, the Taz 6 excels at printing 'filled' filaments that are mixed with real wood, stone, or metal. The Taz 6 brings industrial 3D printing to your home and is capable of printing Copolyester, , Nylon, Polycarbonate, and Polyester filaments. These materials can offer greater strength and chemical and high temperature resistance. Built free. Built to last. All LulzBot 3D printers use Software and are Open Source Hardware meaning there are no restrictions on how you use and operate the equipment you own. The LulzBot Mini is built in Loveland, Colorado and is backed by award-winning documentation and an acclaimed technical support team. Your LulzBot comes with a full one-year warranty that includes a year of phone and email support. LulzBot's community forum is extremely active and is a great place to get tips and tricks, and to share photos of your awesome creations. Additional 1, 2, or 3 Year Extended Warranty Available! 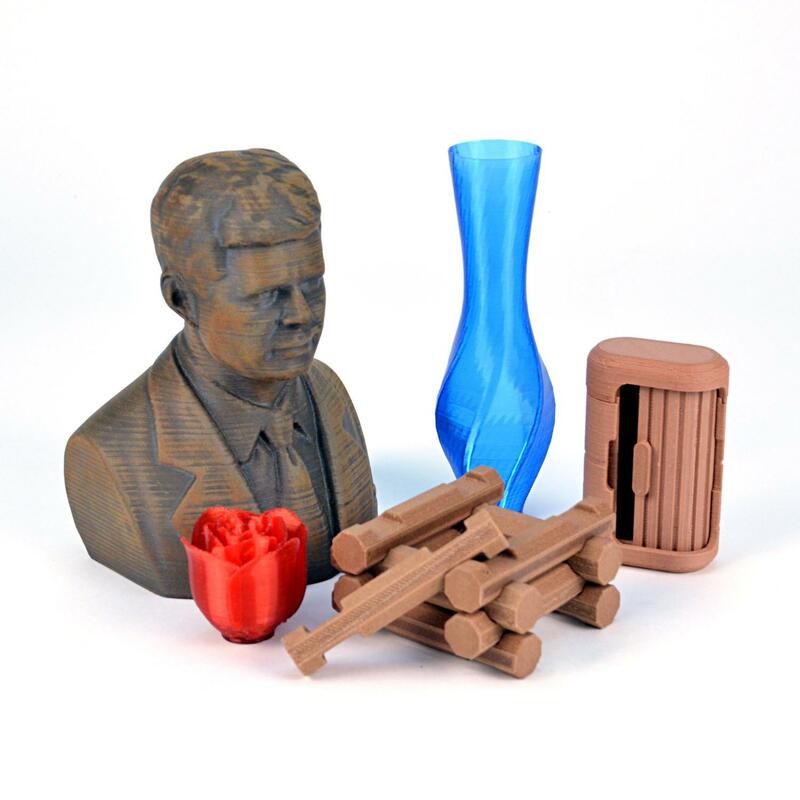 Filament Compatibility: The Taz 6 is compatible with all Filament that Printed Solid sells as well as any other filaments with a printing temperature under 300C. Note that with printing of abrasive materials like Carbon Fiber Filled and Glow in the Dark will damage the hot end; it is highly advised to use a hardened steel nozzle. Multi-Software Compatible: Freedom to use any number of 3D printing software programs, Cura LulzBot Edition comes standard. Simplify3D is an excellent slicer option for taking your printing to the next level. Other compatible software includes OctoPrint, BotQueue, Slic3r, Printrun, and many more. A sample of colorFabb NGEN. NOTE that only the sample is included. Don't forget to add a spool of filament when you check out.